Since Switch launched last year, Nicalis has been on a roll with Switch support. The Binding of Isaac: Afterbirth+, Cave Story+, Tiny Barbarian DX, Ittle Dew 2+, VVVVVV, and The End is Nigh have all come out for the system. A number of other titles are in the pipeline, including Blade Strangers and Code of Princess EX. Also announced this week is a partnership with Treasure to bring Ikaruga to Switch later this month. Apparently they have even more in store, as Nicalis says next week will be “full of new and exciting surprises”. 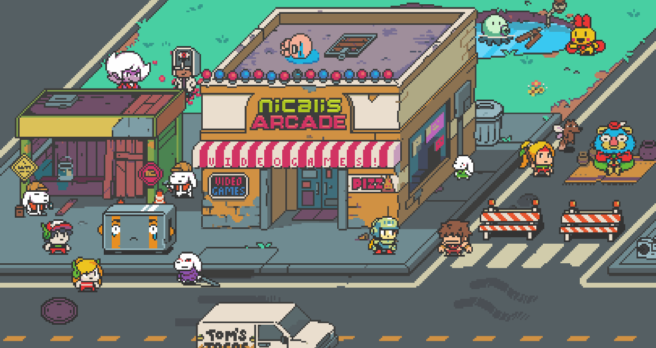 Nicalis isn’t offering any clues pertaining to its tease. Having said that, pretty much everything the company has been doing lately has been tied in to Switch in one way or another.